This flower looked striking this weekend. It's an annual, and I can't remember what it is. Too bad, because I'd plant it again. 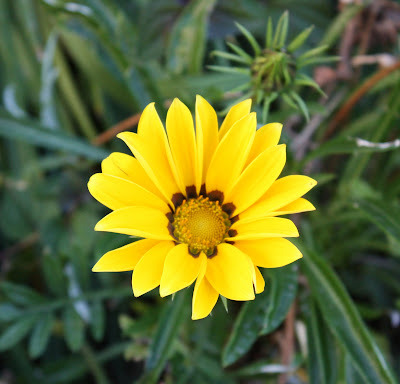 It does look like a coreopsis - but it's a very low-growing flower. I have coreopsis in back and it grows quite tall with bright yellow flowers. If it coreopsis, that would be great, because it would come back next year!